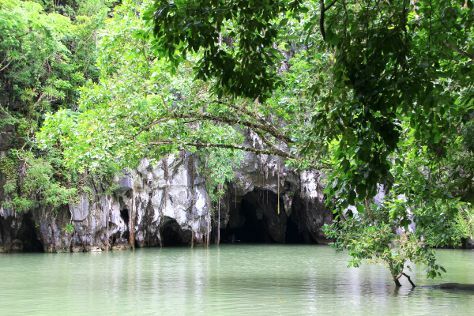 Spend the 26th (Sat) exploring the underground world of Puerto Princesa Underground River. Spend the 1st (Fri) among aquatic life with a scuba or snorkeling tour. And it doesn't end there: contemplate the waterfront views at Honda Bay, sample the tasty concoctions at Palaweno Brewery, enjoy the sand and surf at Sabang Beach, and explore the striking landscape at Ugong Rock. To see photos, maps, and tourist information, read Puerto Princesa travel route builder site . Sao Paulo, Brazil to Puerto Princesa is an approximately 39-hour flight. The time zone changes from Brasilia Time (BRT) to Philippines Time (PHT), which is usually a 11 hour difference. Traveling from Sao Paulo in January, plan for somewhat warmer nights in Puerto Princesa, with lows around 28°C. 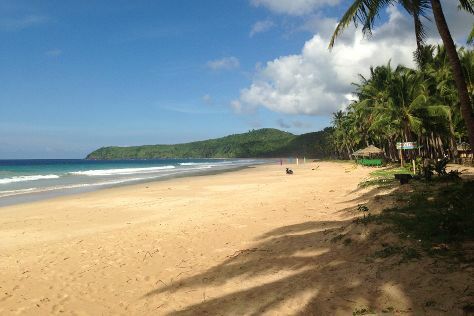 Finish up your sightseeing early on the 7th (Thu) so you can go by car to El Nido. Spend the 9th (Sat) among aquatic life with a scuba or snorkeling tour. There's much more to do: tour the pleasant surroundings at Nacpan Beach, kick back and relax at Nacpan Beach, contemplate the waterfront views at Big Lagoon, and step off the mainland to explore Snake Island (Vigan Island). To find where to stay, other places to visit, reviews, and more tourist information, read our El Nido attractions planner . Traveling by car from Puerto Princesa to El Nido takes 5.5 hours. Alternatively, you can take a bus; or ride a ferry. Wrap up your sightseeing on the 20th (Wed) early enough to travel back home.